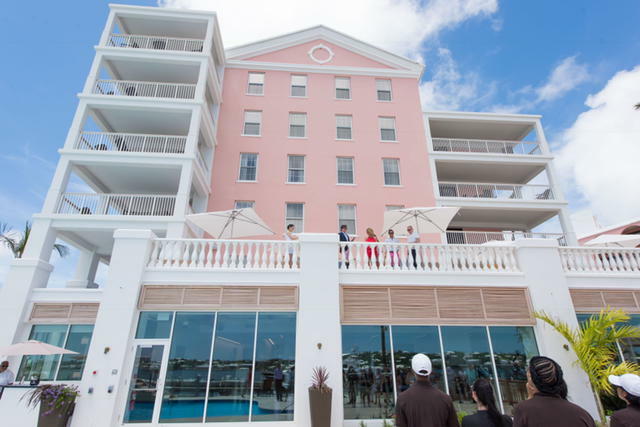 The Hamilton Princess and Beach Club recently held a traditional Bermuda roof wetting ceremony to celebrate the opening of their new spa, which offers some 5,400 square feet of spa space, and an array of spa services including some unique to Bermuda, such as the Rum Swizzle Scrub which incorporates premium aged rum. Wetting the roof with Gosling’s Black Rum were Andrew and Alexander Green; Annbeth Eschbach, the CEO of exhale; Julia Sutton, the Chief Operating Officer of exhale; and Allan Federer, the General Manager of Hamilton Princess and Beach Club. Exhale is an award-winning spa from New York City with locations around the world. 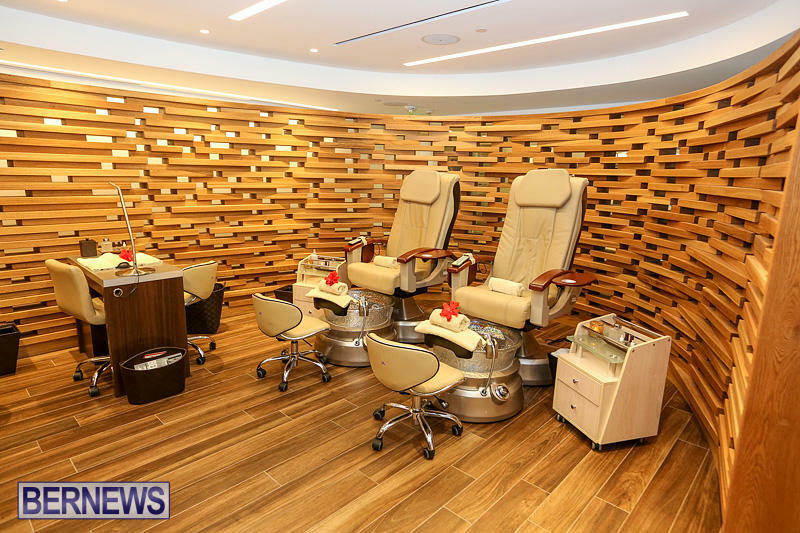 The exhale spa at Hamilton Princess opened in July 2016 as part of the hotel’s $100 million renovation project. 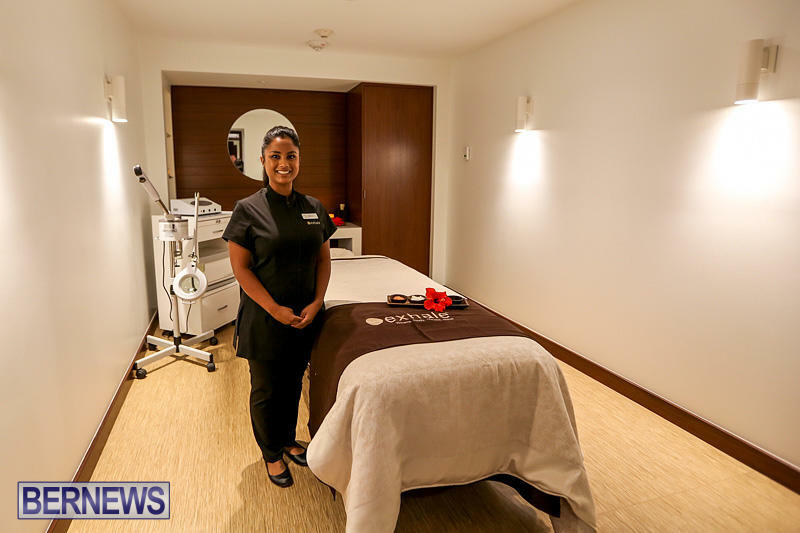 The facility encompasses 5,400 square feet of peaceful spa space and an adjacent gym facility that covers more than 2,150 square feet. 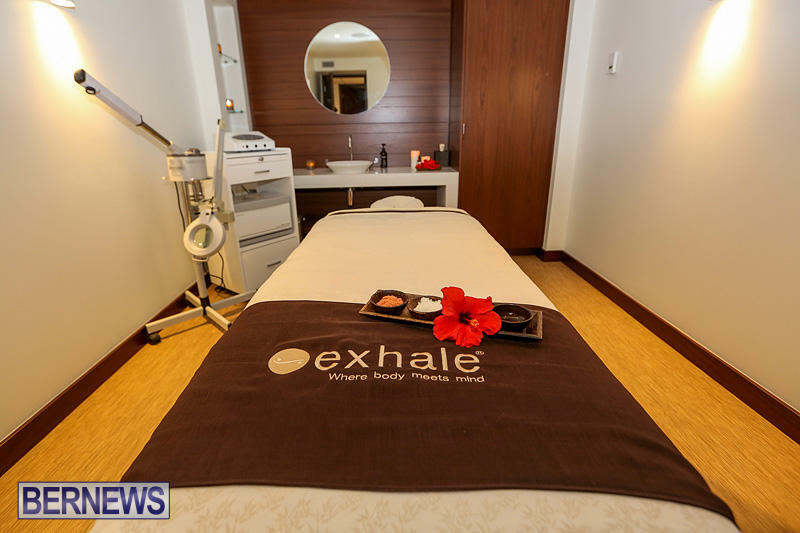 The exhale spa is located on the ground floor of the Hamilton Princess, and its pool and gym offers panoramic views of the marina and harbour. It is open to hotel guests and the local community. It features nine treatment rooms, a renovated pool, poolside pergola and a fitness centre and studio for group instruction, such as yoga and barre, that offer uninterrupted views of Hamilton Harbour. A relaxing zen lounge is available where guests can enjoy a variety of organic herbal teas, fruit infused water and fresh fruit. 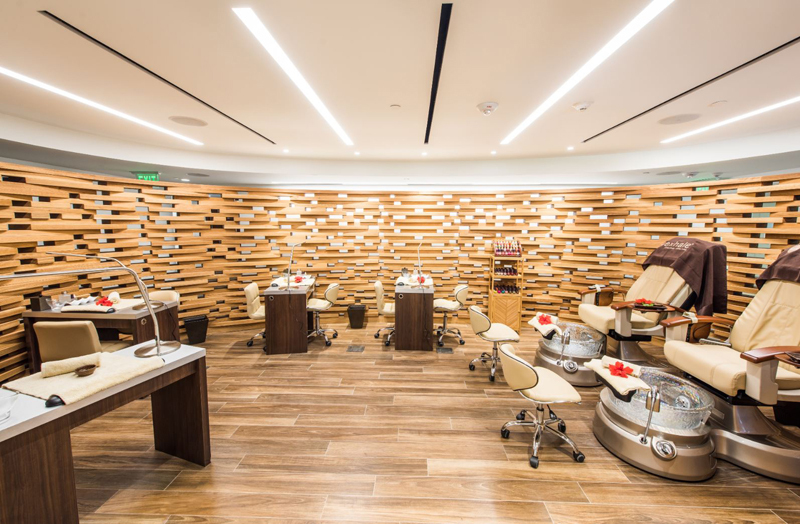 In addition to the spa and fitness centre, a salon offers a full range of pedicure, manicure and waxing services, and there are ladies and gentleman’s facilities offering private changing rooms, lockers, showers, toiletries and amenities. 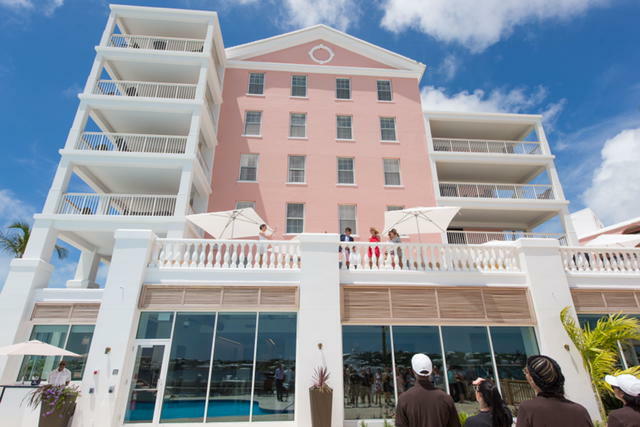 Services offered at the spa that are unique to Bermuda include the 60-minute Rum Swizzle Scrub and the America’s Cup Sport’s Massage. The America’s Cup Sports Massage is custom created for those with an active lifestyle, be it sailing, competing or rigorous exercising; while the Rum Swizzle Scrub is made with golden brown sugar, premium aged rum and citrus to leave skin revitalized and refreshed. The gym is equipped with machines from TechnoGym, including six treadmills, three synchro elliptical cross trainers and stationary bicycles. Also there are multiple resistance leg machines, free weights and kinesis machines; and a separate exercise class room designed for Barre and other group fitness classes, including Core Fusion Barre + Cardio. Great job …. Any Bermudians in the process of being trained to manage Exhale ? Any Bermudian therapist given the oppurtunity to learn the Exhale way of treatments ? Actually there are multiple staff at Exhale that are Bermudians. Go sip your coffee bro. And so it should ! Let’s aim for 100% . Agree with coffee. Bermudians should have apportunity to lead.